Don't you stand there!!! Get out and dangle with him!!! Reminds me of that old joke..
What´s black, crisp and dangling from the roof...? We are waiting with baited breath! Heyho.....Once a salmon always a sprat. 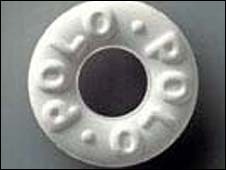 There was a girl in Liverpool called 'Polo' 'cos she made a mint out of her hole.